How to watch Ender's Game (2013) on Netflix Netherlands! Sorry, Ender's Game is not available on Dutch Netflix, but you can unlock it right now in the Netherlands and start watching! With a few simple steps you can change your Netflix region to a country like India and start watching Indian Netflix, which includes Ender's Game. We'll keep checking Netflix Netherlands for Ender's Game, and this page will be updated with any changes. 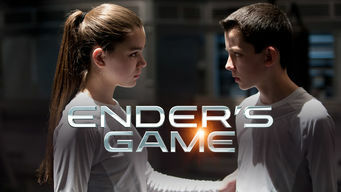 Ender's Game is not available in Netherlands BUT it can be unlocked and viewed! Talented preteen children, including Andrew "Ender" Wiggin, are trained for battle against the alien insectoid Formics ("Buggers") invading Earth. Earth's survival against alien invaders comes down to one kid. On the bright side, he's really good at video games. There is a way to watch Ender's Game in the Netherlands, even though it isn't currently available on Netflix locally. What you need is a system that lets you change your Netflix country. With a few simple steps you can be watching Ender's Game and thousands of other titles!